The complex geopolitical relationship between the United States and Cuba has frozen the island nation for more than half a century. In 2014, President Barack Obama decided to melt the remaining animosity from the cold war, restoring diplomacy with a country that’s only 90 miles away. Prior to this change, the United States considered Cuba an enemy of the state. This obscured the fact that the U.S. granted special status to Cuban immigrants since the late 1960s. Improved relations triggered an increase of Cubans arriving under a law that declared them political refugees more than fifty years ago. Now that Cuba appears primed to transform into a modern nation, the United States will likely alter their immigration policy regarding Cuban citizens. Now that they are no longer considered political refugees of a communist state, Cubans may face the prospect of increased difficulty when attempting to live and work in the United States. Prior to the Cuban revolution, the United States and Cuba enjoyed an amicable relationship that featured extensive trade, investment and political ties. When President Fulgencio Batista was overthrown on New Year’s Day in 1959, mutual mistrust and animosity grew quickly between the two nations, leading to the failed Bay of Pigs assault in 1961 and the Cuban Missile Crisis in 1962. These developments and others during the first half of the 1960s lead to the Cuban Adjustment Act in 1966. Recognizing the communist regime as an existential threat to democracy throughout the Americas, U.S. congress offered protection to citizens of Cuba persecuted because of political beliefs and other types of prejudice. This extraordinary measure, no doubt driven by geopolitical considerations, provides Cuba with a unique and ironic status. Despite decades of animosity, Cuban immigration requirements within the U.S. have been more accommodating than U.S. immigration policy concerning their two closest partners, Canada and Mexico. Since 1966, Cuban nationals have the ability to become permanent residents of the United States without going through traditional immigration processes. Initially, the Cuban Adjustment Act required Cubans to reside in the United States for at least one year to earn status as a permanent resident of the U.S. This applied to all Cubans who entered the country after the revolution – as long as the U.S. Attorney General didn’t object. Unlike other nationalities, Cubans were no longer subjected to quotas and traditional prerequisites, such as having family present within the U.S. or an employer sponsoring the applicant into the country. The latest change to the Cuban Adjustment Act took place in 1996, when the United States congress decided to alter the law, declaring that the act “will be repealed if and when Cuba becomes a democracy.” Considering efforts to strengthen ties between Cuba and the United States, the likelihood that Cuba transitions to a democratic state continues to rise. Members of congress have already started lobbying for amendments to the adjustment act. This includes descendants of Cuban exiles like Republican Carlos Curbelo, who believes that certain loopholes should be closed to avoid abuse of the system. While the bill proposed by Mr. Curbelo didn’t make it past committee in 2015, probabilities dictate that efforts will continue to change the Cuban Adjustment Act to reflect the latest shift in Cuba-U.S. relations. Since President Obama’s declaration of renewed ties with Cuba, the number of Cubans immigrating to the U.S. rose rapidly. Relaxed travel restrictions also allow Cuban citizens greater ease of access to the United States. For the fiscal year of 2014, 24,278 Cubans entered the United States. In 2015, that number increased to 43,159, and 10 months into fiscal 2016, the total already stood at 46,635. Comparatively, the total number of Cuban immigrants arriving into the United States totalled 7,759 in 2011. This calculates to an increase of more than five times the number of new Cuban Americans between 2011 and 2016. 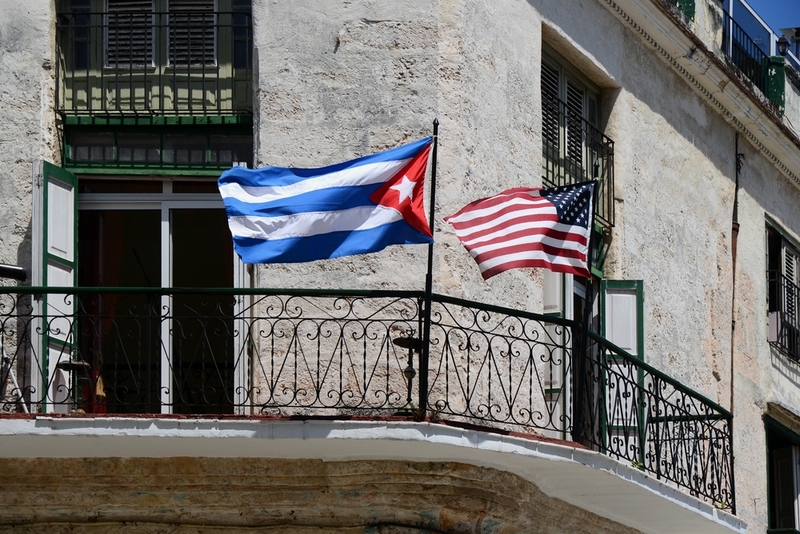 Although the rapid growth of Cuban immigration appears to have plateaued, plenty more will seek to reap the benefits of becoming a permanent resident of the United States through the Cuban Adjustment Act. Chances remain close to nil that this Cuban immigration boom will continue far into the future. Instead, Cuban citizens should expect immigration law to eventually treat them similarly to other nations. As the window of opportunity closes, those who wish to immigrate to the U.S. under the act should take immediate action.